A great place to live All ...Review From Modern Messagesubmitted by Angela R. - May 17, 2018 |Recommended: YesA great place to live All amenities are wonderful, including the gym, the printing center and the activities. Maintenance was speedy and the front office was always helpful The only reason I am moving is to be closer to campus. Great community and great v...Review From Modern Messagesubmitted by Sean A. - May 16, 2018 |Recommended: YesGreat community and great value for the very low price you're paying to live in such a great place. I have loved ever minute here at south duff. I really love the neighborh...Review From Modern Messagesubmitted by Keyearra T. - May 16, 2018 |Recommended: YesI really love the neighborhood and environment. There is minimal noise even with all the dogs around you rarely hear them. They are not disturbing you. I am not a current resident...Review From Modern Messagesubmitted by Holly M. - May 15, 2018 |Recommended: YesI am not a current resident of South Duff but I will be this coming fall. Living in a college town it is difficult to find a place that is clean, affordable and has good ownership. 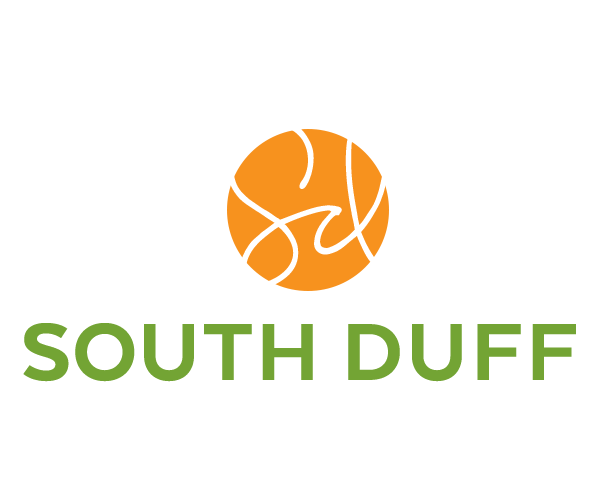 Throughout my process of looking for an apartment, I had a very easy time getting in contact with South Duff. They were very helpful in setting up a time to tour as well as keeping the apartment in my budget. The location is great and all the people working at South Duff have been very friendly. South Duff offers nice apar...Review From Modern Messagesubmitted by Jessie W. - May 15, 2018 |Recommended: YesSouth Duff offers nice apartments with affordable rates. Plus sides include a gym, free coffee, and it's right next to the dog park Only downside is when I first moved in and minimal cleaning had been done before my arrival. Just moved in and currently...Review From Modern Messagesubmitted by Allison M. - May 15, 2018 |Recommended: YesJust moved in and currently love it It is a nice area, it is kept very clean, it is pet friendly and it is totally affordable Complete upgrade from my last place. The apartments are nice but...Review From Modern Messagesubmitted by Frederick M. - May 14, 2018 |Recommended: YesThe apartments are nice but I have been called and told to pay rent before the rent its due when I was never late on a payment. The maintenance people are also in and out of the apartment a lot with loose timelines and sometimes feels like an invasion of privacy. Living here was a great exp...Review From Modern Messagesubmitted by Jack W. - May 13, 2018 |Recommended: YesLiving here was a great experience. The apartments are spacious and efficient. They are comfortable and homey. The only complaint is reception and internet. It is a very clean environm...Review From Modern Messagesubmitted by Taylor B. - May 12, 2018 |Recommended: YesIt is a very clean environment and everyone I have met in the community seems to be friendly and cheerful. No one has ever been rude or unpleasant to me. I am really enjoying my tim...Review From Modern Messagesubmitted by Bradley C. - May 11, 2018 |Recommended: YesI am really enjoying my time here at South Duff. I just moved in not too long ago and am already loving it. The apartment is the perfect size, everything works great, and the amenities are top notch. Everyone is so friendly and...Review From Modern Messagesubmitted by Mavrick D. - May 10, 2018 |Recommended: YesEveryone is so friendly and it is a great place to live. I will recommend this complex to all of my friends that will be living in the area. The complex and surrounding...Review From Modern Messagesubmitted by Megan S. - May 10, 2018 |Recommended: YesThe complex and surroundings are very scenic and peaceful. For someone who owns and loves animals, this place is perfect. The community is very pet friendly which is absolutely wonderful. I love how South Duff is so...Review From Modern Messagesubmitted by Anna H. - May 10, 2018 |Recommended: YesI love how South Duff is so involved in their residents life and well being. Everyone here is so kind The location is perfect for me and the apartment is the perfect size.